Who knows what will turn up?.. I love ancient cities, architecture, cars, nature, airplanes, travel, pets and photography! Thank you all for your wonderful comments, I read them all and enjoy every one!. 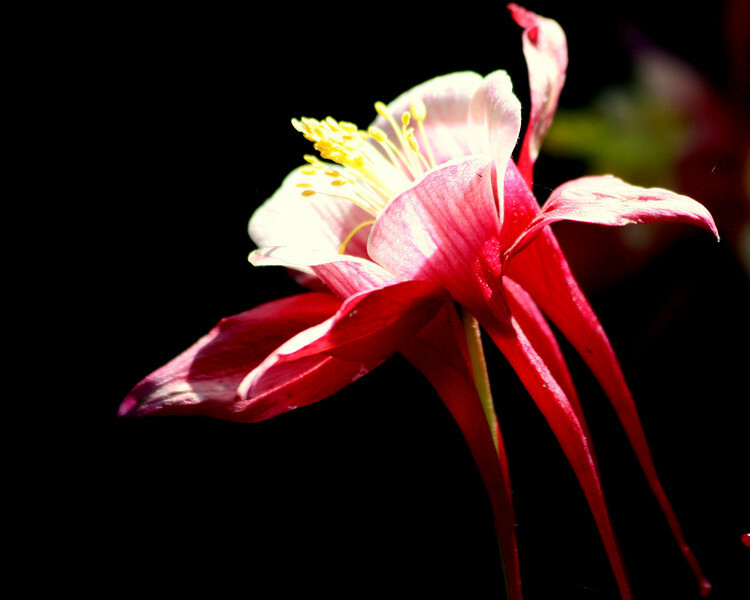 Here's one of a lovely columbine still blooming in the shade. The sun is out oh Happy Day! Where to go waterfalls, beach or mountains. Oh my! We'll see what the lens finds today.